President Trump's trips in the first three months of his presidency to his Mar-a-Lago resort in Palm Beach, Florida, cost American taxpayers millions of dollars. 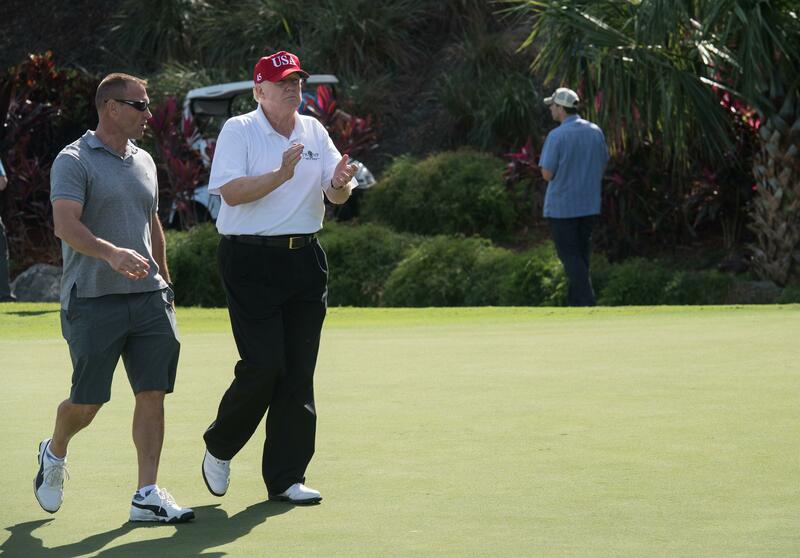 The report compiled by the Government Accountability Office (GAO) showed that four trips Trump took to the resort cost roughly $13.6 million in taxpayer money. Trump, who purchased Mar-a-Lago in 1985, has visited it 19 times as president. Expenditures for the four trips, which were taken between Feb. 3 and March 5 in 2017, included "$10.6 million for operating costs of government aircraft and boats and $3 million for temporary duty costs of government personnel supporting the President’s travel." Split between these four, the cost averages at $3.4 million per trip. If correct, the figures are a far cry from the purported $1 million initially estimated. In October 2016, the GAO released a report showing it cost $3.6 million in February 2013 for President Obama's travel to two cities: Chicago for a speech and then Palm Beach for a golf trip. The recent GAO report also found that $396,000 was spent on Secret Service protection for President Trump's sons, Donald Trump Jr. and Eric Trump, for trips to Uruguay, the Dominican Republic and the United Arab Emirates between January and February of 2017. Upon completion of the report, the GAO recommended that the Secret Service and the Department of Defense "ensure that the reports required under the Presidential Protection Assistance Act of 1976, as amended, are prepared and submitted" and that "the Department of Homeland Security and DOD concurred with GAO’s recommendations." The report's statistics on Trump are only exclusive to Mar-a-Lago and do not include his visits to his golf club located in Bedminster, N.J. The report comes after a number of controversies concerning Trump and his favorite destination hideaway, which include his use of undocumented workers at Mar-a-Lago despite his public anti-immigrant stances, using taxpayer money to promote his business interests and a 30-year-old history of waging embittered war against his Palm Beach neighbors. His visits to Mar-a-Lago have also been marred by anti-Trump demonstrators, many of which have included a panoply of novelty items, such as an inflatable anthropomorphized Trump rat, a Trump baby blimp, and a nearby billboard with the words "Impeachment Now; Make America America Again!" emblazoned across its front.